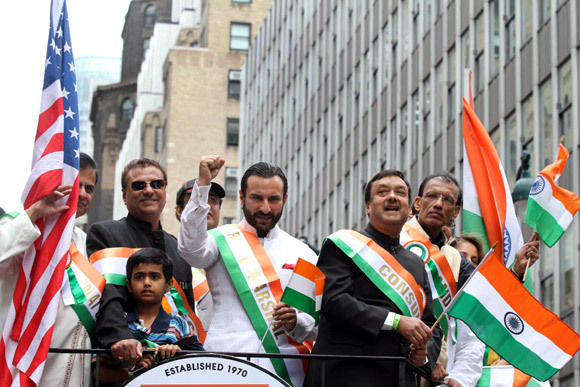 Saif Ali Khan was the Grand Marshal along with Anil Kumble at the 32 Indian Independence Day Parade which was held at Madison Avenue, New York City. 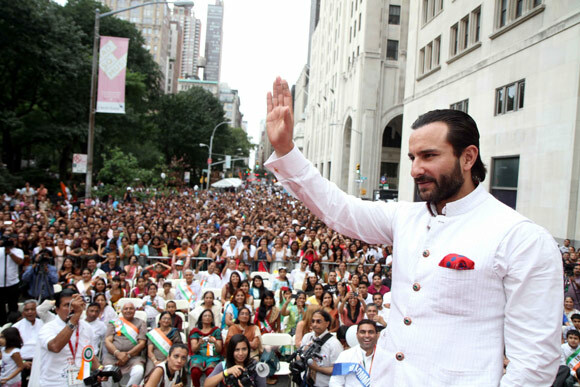 Saif waves at the crowd gathered for the India day parade function as the crowd cheers for him. Saif greets Anil Kumble who was also Grand Marshal along with him. 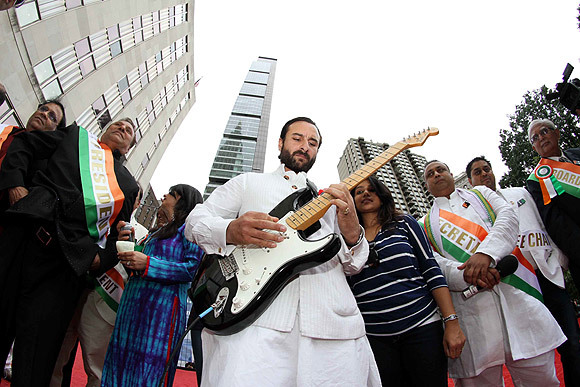 Saif Ali Khan strums the guitar for the crowd gathered for the function. Saif with Consul General of India Prabhu Dayal and other community leaders at the India Day parade. A leader of the Swamibapa Pipe band from Secaucus, NJ performs at the India Day Parade. 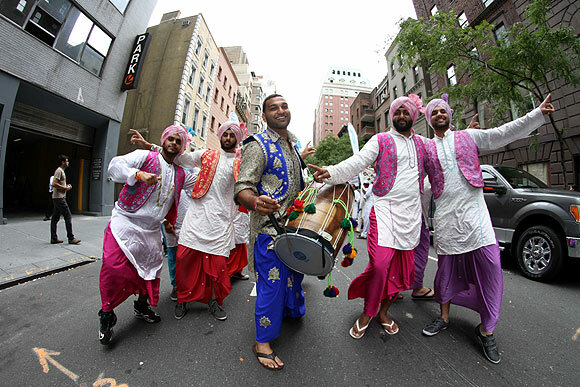 Traditional Indian folk dances were performed at Madison Avenue.